Quality rating and improvement systems, or QRIS, “assess, improve, and communicate the level of quality in early care and education settings.”1 These state systems can be designed for use by all types of early childhood programs—child care centers, family child care homes, Head Start programs, and school-based preschool programs. States can make participation entirely voluntary, or they can make participation mandatory for certain providers, such as those that accept public funding or all programs that are licensed to operate in the state. Direct quality improvement supports: These can be financial in nature—providing bonuses or higher reimbursement rates to reward programs for achieving a high-quality rating or to incentive them to reach a higher rating. They also can take the form of direct assistance to programs, including access to professional development, coaching, mentoring, or technical assistance navigating the QRIS process itself. Inform parents about quality: QRIS provide parents with details about the quality level of early childhood programs, as well as educating parents and communities about the importance of high-quality child care and preschool in general. This requires communicating the actual rating levels through websites, events, and flyers—but also ensuring parents understand the differences between ratings so that they can make fully informed decisions about their child’s care. 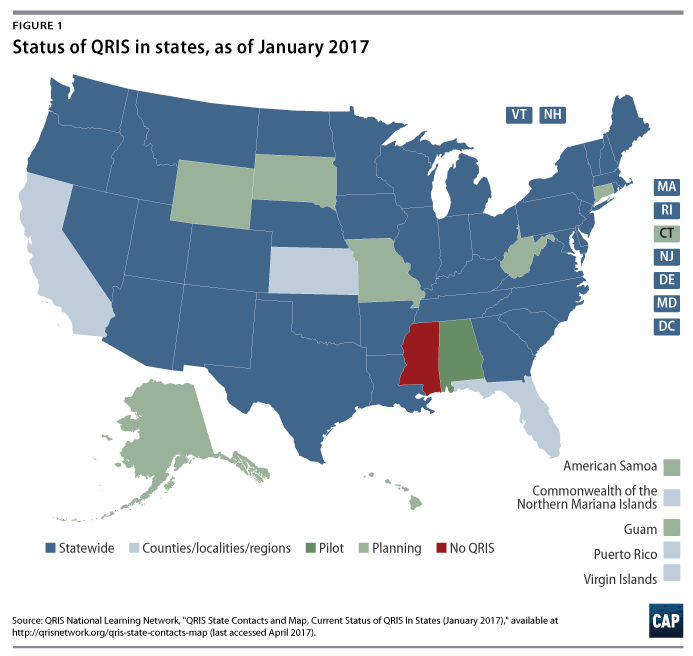 What do QRIS look like across the United States? While three QRIS report 100 percent of eligible providers are participating, in many QRIS, participation is low. 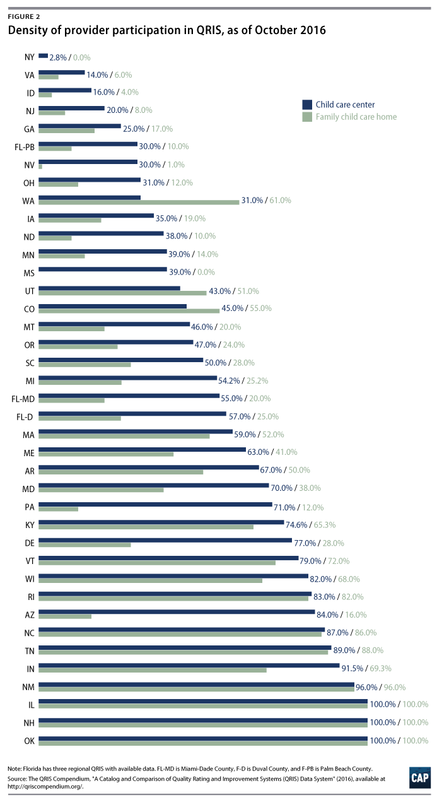 In 17 QRIS, less than 50 percent of child care centers participate. 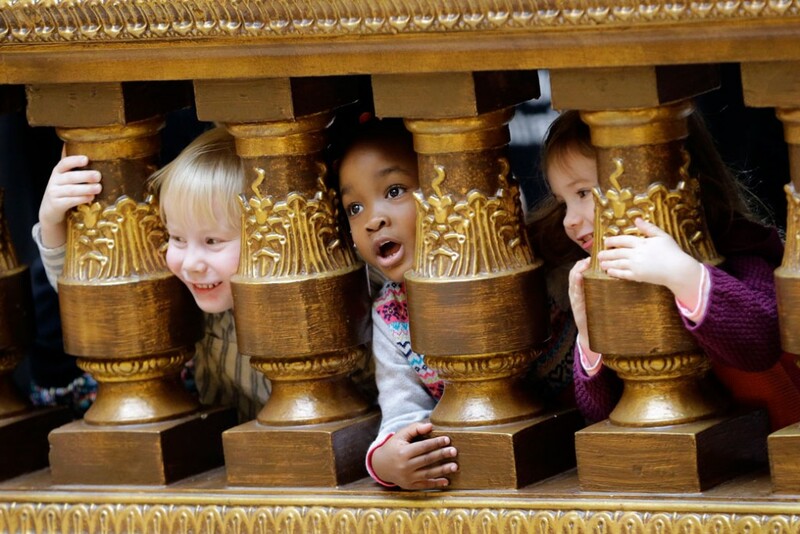 Among family child care providers, participation is less than 50 percent in in 23 systems. Most QRIS offer financial incentives to improve quality. 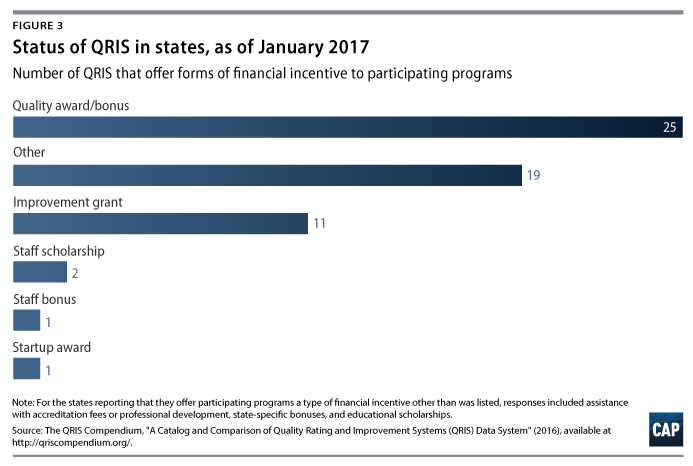 Almost 85 percent of QRIS offer some form of financial incentives, with quality awards and bonuses being the most widespread type. Technical assistance is widely available for participating providers. Nearly three-quarters of QRIS report that technical assistance is available to all participating providers. 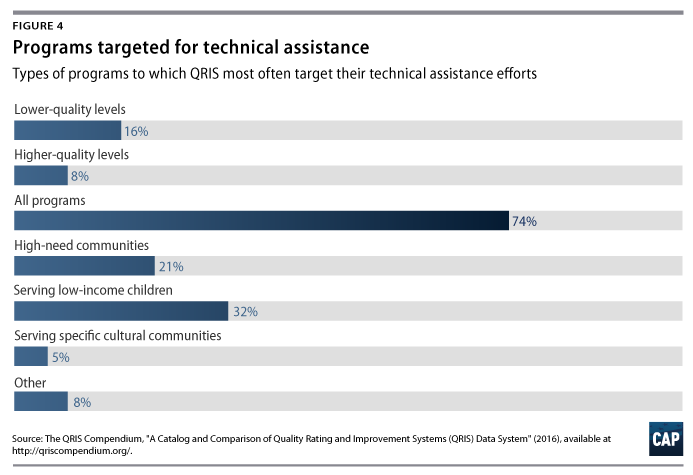 Among those QRIS that target their technical assistance support to certain providers, they are most often targeted to programs that serve a significant percentage of low-income children or programs in high-need communities.